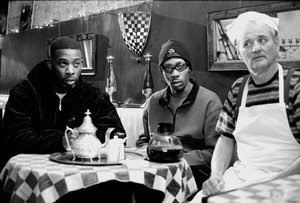 "Bob Digi, yeah you know who is he"
I'll admit that when I picked up The RZA's first 'bout of alter-ego narcissism, I bought into the concept. It didn't seem outlandish to assume that an artist would want to maybe express another side of his personality while sparing his already established identity. Plus, as with any Wu-Tang affiliate, schizophrenia is to be expected. 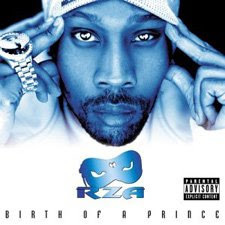 Bobby Digital In Stereo, while not quite reaching the creative and innovative heights RZA had been known to produce, was still a somewhat ballsy jaunt into the shaky and uncertain world of the blink-and-you'll-miss-it Hip-Hop avant. 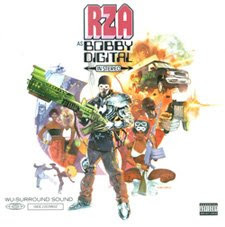 His follow-up, Digital Bullet, while boasting a couple of exceptional tracks, ("Brooklyn Babies" for instance), mostly showed that the concept was largely unnecessary and lacked substance. Digi Snax, the third installment of the "Bobby Digital" saga, is set to release in late June. The first single, "You Can't Stop Me Now," sounds like somewhat of a return to the Wu-Tang of yore and will hopefully make up for the uneven 8 Diagrams. We'll see what happens; Wu excellence is far from a safe bet these days.